A thoughtful gift can take your relationship to another level. Therefore, choosing that perfect gift has a major value. A thoughtful gift can take your relationship to another level. Therefore, choosing that perfect gift has a major value. Have you decided what you are going to gift your partner on this Valentine’s Day? Before you grab that card off the store shelf, check out these gift ideas that will surely make the special one feel all the more special. Different personalities prefer different diamond shapes – which can be extremely useful to know for men struggling to decide what ring to choose. Caratlane is here to rescue. On this Valentine’s Day, gift your loved one the most precious and memorable gift. You can also opt for Bella Lusso by Gem Selections collection of elegant Pearl jewellery. The beautifully crafted pearl jewellery is designed for every Indian woman. Candere by Kalyan Jewellers too has accessories for all occasions and moods. Tanishq has handpicked products from their solitaire collection that will add the perfect sparkle to your day. Pamper your partner this Valentines Day with O3+ products. 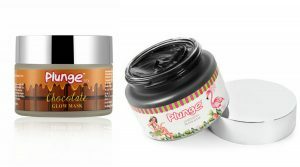 They have an irresistible range of products with fun ingredients like watermelon and chocolate masks, which you would like to just eat. The O3+ goodies will help them get the perfect glam and glow for Valentine’s day date. If you are planning to celebrate the day indoors, give your home a trendy spin with classic, yet a contemporary range of designer silver home decor. 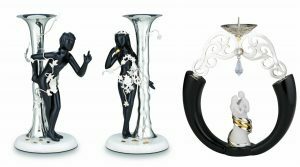 Go for the pretty candle stands, attractive vases, gold plated champagne flutes, silver chased glasses and many more beautifully crafted silver pieces. Frazer and Haws is the place to get your partner something from the handpicked collection of home decor. Perfumes are always a good option for a gift. With Valentine’s day around the corner, whether it’s a date on V-Day or some self-indulgence — unique scents and fragrances are what you need. 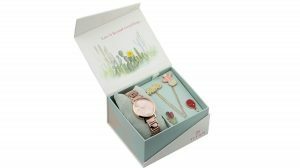 Titan has introduced a new collection for Valentine’s Day which is embellished with cute packaging. Complete your look by wearing this special Titan’s Valentine’s Day new collection. Make a great impression in the eyes of your beloved ones by choosing a pair of stylish eyewear that ideally matches your partner’s personality. The shape of a frame or the colour of the lenses can change your whole appearance. 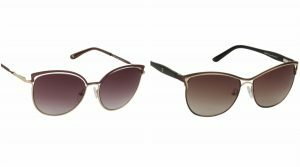 Scavin, a leading brand of fashionable eyewear, offers a range of ideal sunglasses for your significant other.